Retriever Payment Systems advertises rates starting as low as 1.35 percent, offering to work with businesses to lower rates. If a business has been accepting credit cards for six months or longer, Retriever can discuss a low-rate option with just a phone call. In addition to setting up payment solutions, Retriever also provides businesses with cash advances to help them get things started. Businesses pay back these loans through a percentage of each VISA or MasterCard transaction they accept. More than 90 percent of businesses that apply for these loans are approved, so it’s an option that can help those businesses in need of start-up capital. Retriever is a full-service payment processing provider, helping businesses with every aspect of safely accepting payments. By signing up with Retriever, businesses can ensure each aspect of payment processing works together. Through a partnership with Authorize.net, Retriever can also help businesses set up an online store, complete with a website and secure payment acceptance. Businesses can choose from several types of retail credit card readers, each small enough to be easily moved. 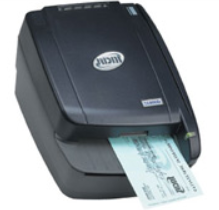 Retriever offers a selection of wireless and wired models with built-in thermal receipt printers for easy portability. 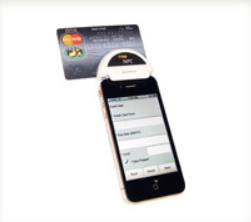 Retriever also provides a mobile credit card reader for workers to accept credit cards using an iOS, Android, Blackberry, Brew, Java, or Windows mobile device. For businesses that still accept personal checks, Retriever can automate that process, as well. Paper checks can be scanned through Electronic Check Conversion (ECC), where funds are verified for availability while the customer is still in the store. The customer has the convenience of payment by check without putting the business at risk of that check being returned for insufficient funds. Retriever’s solutions aren’t limited to in-store payment acceptance and online payments. The company also provides help with recurring billing through subscriptions. This payment method is becoming increasingly popular with both businesses and consumers. Businesses can also add loyalty and gift cards through Retriever. Retriever uses Hypercom terminals, which are recognized by many as among the most powerful in the industry. Using these terminals, businesses can eliminate the slowdowns that can happen with some payment processing equipment. Businesses can also get PayPass mobile card readers and ViVOpay readers to accept contactless payment methods. The Nurit 8020 is a new addition to Retriever’s offerings, serving as the first wireless terminal to operate on the GPRS network. When a business chooses Retriever, the company promises the best merchant services team in the industry. Help is available during business hours by phone and if a terminal should malfunction, the company promises a replacement within 24 hours. Additionally, with more than 20 years of experience, Retriever has an in-depth knowledge of the industry that it passes on to its customers. The company has a “no hidden fees” policy, so customers always know what they’ll be paying.